follow Forty Mile Creek into the Vermillion Lakes. Both routes offer stunning views and opportunities for wildlife viewing. 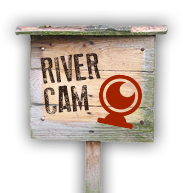 Every canoe or kayak rental begins with basic tips before heading on the river. The Banff Canoe Club rents canoes, kayaks and even stand up paddleboards from the docks. 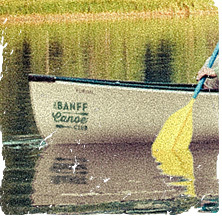 Members of the Banff Canoe Club receive special rental rates. Joining is easy. Simply check out the membership page for details! As a member you receive a membership card, invitation to special club events and preferential rental rates for the whole season! kayak and SUP. Check out the rates below. (includes first hour of Canoe or kayak rental with PAID membership - one time only) Must be purchased upfront. Minors may not rent canoes/kayaks unless accompanied by a parent or guardian. Renters are required to sign a liability waiver and provide a valid driver’s license. 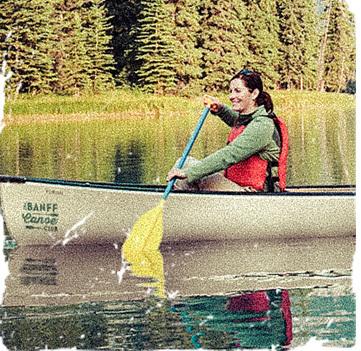 Canoeing on the Bow River is the quintessential Canadian activity; a peaceful way to explore Banff. valid local ID. The first rental hour is not free with a complimentary membership, however rental rates are $25 / boat for the entire season. Check out our fleet of SUP's available to rent at the docks or offsite. Click here to view our bike and canoe packages. Enjoy a scenic bike ride on one of the many routes in Banff National Park. Rent a cruiser bike from Banff Adventures and visit the stunning Vermillion Lakes.